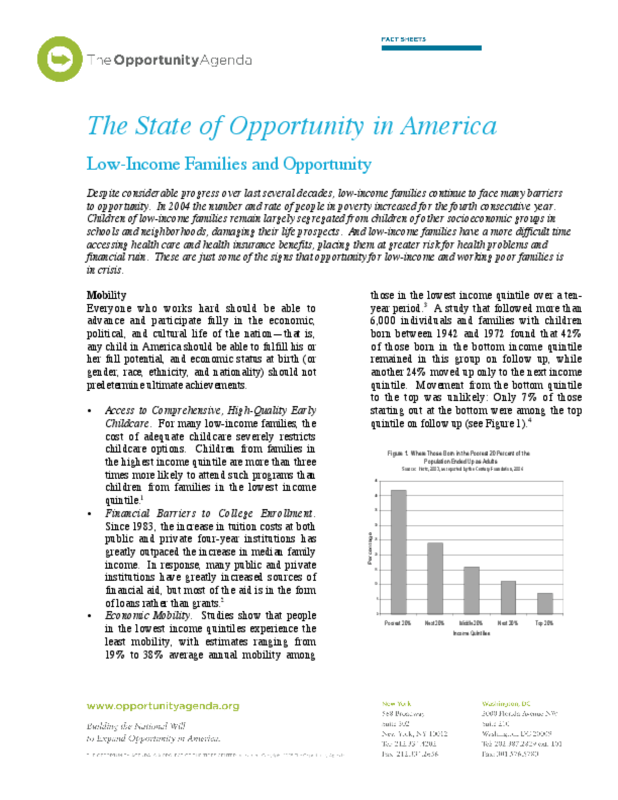 Despite considerable progress over last several decades, low-income families continue to face many barriers to opportunity. In 2004 the number and rate of people in poverty increased for the fourth consecutive year. This is just one sign that opportunity for low-income and working poor families is in crisis.